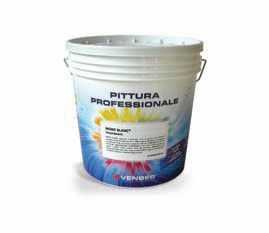 Breathable opaque water-based paint on styrene-acrylic polymers. It must be filtered to be sprayed. Product not included in the tinting system “GeoSystem”. It is appliable on all interior wall substrates.